Intelligent EHRs – What are they? In an article on Government Health IT, the Intelligent EHR is discussed by a Mayo Clinic physician. Is is something more that an EHR with decision support tools? 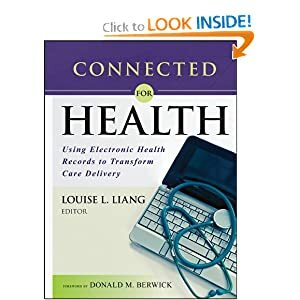 One quote says, “information becomes [directly] available and usable to a computer so one can repurpose that information for secondary uses such as quality monitoring and research and education.” The article also cites this as “minimally invasive informatics” which avoids disruptive changes in medical practice. But what does it really look like? Maybe the real future of an intelligent EHR with be something similar to the sematic web – intelligent agents bringing just the right amount of information to the point of care. The Healthcare IT Guy pointed to this very interesting article from Family Practice Management, EHRs Fix Everything and Nine Other Myths . 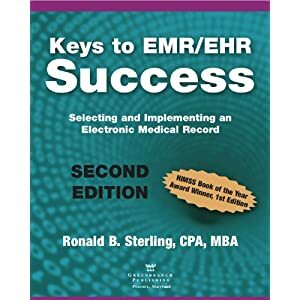 Points like, software needs to work the way we work and software will eliminate errors question typical selling points for EHRs. It is well known that making absolute statements or even inflated statements about software is par for the course but rarely proven out. For instance, software can cause other unintended consequences and reduce efficiency. However, planning, training and implementation can make significant strides toward reducing these problems and more closely approach the hoped for outcomes of EHRs. Everyone in healthcare IT should read this article just to keep us humble about what we can accomplish.